Home / Entertainment News / SHOCK as it emerges that the tinted Mercedes Benz ferrying the late MARY WAMBUI’s body passed a police road-block and they did nothing. SHOCK as it emerges that the tinted Mercedes Benz ferrying the late MARY WAMBUI’s body passed a police road-block and they did nothing. Saturday, February 9, 2019 - Fresh details on the brutal murder of the late businesswoman Mary Wambui Kamangara have emerged. 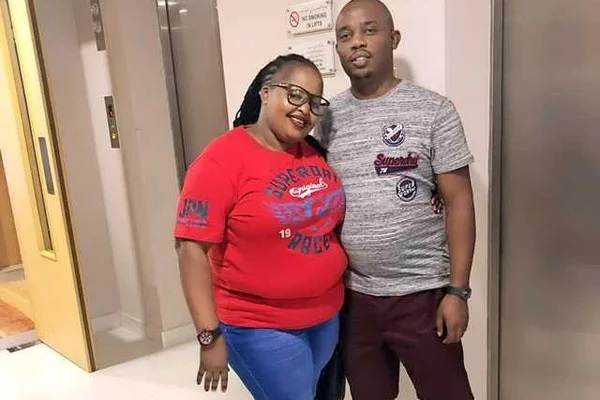 Michael Githae, a taxi operator, who was paid by the mistress of late Mary’s husband, Judy Wangui, to help her ferry her lifeless body and dump it has given detectives crucial details that will help unravel the mystery surrounding the murder. Michael told detectives probing the murder that Judy hit Mary with a pressure cooker after a fight ensued in her house along Kiambu Road and killed her. Michael accompanied Judy to a dam in Juja driving a Toyota Noah where he helped her dump the body. Had the cops done a thorough check up on the heavily tinted Mercedes Benz, they would have discovered Mary’s lifeless body which was wrapped with a bedsheet and placed at the back seat.